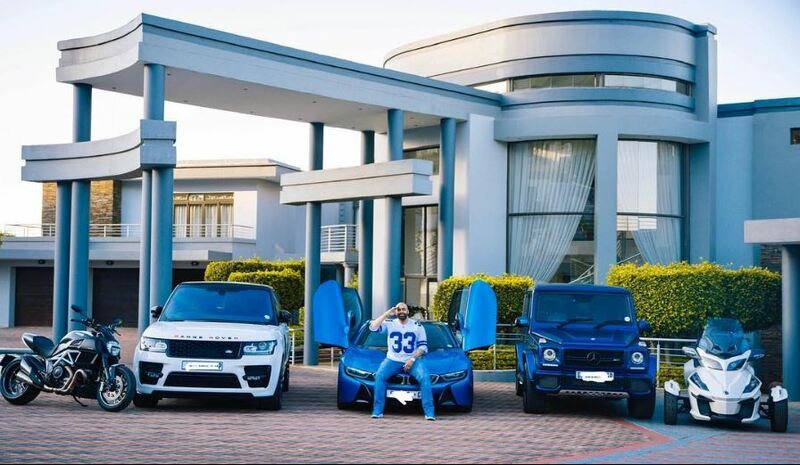 PHOTOS – Inside Rich Mzansi Celebs Luxury Homes! SEE how the rich and famous South African celebrities live! Some local celebrities like Cassper Nyovest, Bonang Matheba, Trevor Noah, The Fergusons and TT Mbha are living the African dream as seen on television, there have been stories reported that South African stars are poor but this bunch doesn’t fall under that category. Cassper Nyovest is a very successful rapper that has broken many boundaries and has made a fortune in the process. He is a proud owner of a swanky mansion which suits his achievements, the hit-maker showed off this impressive accomplishment on social media as he encouraged his fans that anything is possible. Bonang Matheba owns a lavish mansion which is located at the luxurious Waterfall Country Estate in Midrand, this crib is certainly one of a kind! It has even been featured on the iconic lifestyle show Top Billing and her very own popular reality show, Being Bonang. The house has a lovely balance between an industrial and modern feel. It is a safe haven for the gorgeous star and a true reflection of the media darling’s personality. Comedian Trevor Noah’s new mansion has been trending on social media recently, it is rumored that the Daily Show host splurged a staggering $20-million (R279-million) on his new bachelor-pad home in Bel-Air, Los Angeles. Watch the video above for a sneak peek! Keeping up with Shona Ferguson! The popular actor gave fans a glimpse of his most prized possessions. He is sure is living the good life! TT Mbha has made numerous appearances on Mzansi Magic’s reality TV show Living The Dream With Somizi. The celebrity real estate agent has great taste in properties. His residential home in particular is over-the-top and is a perfect fit for his growing family. Which celebrity home is your favourite?